Have you ever gone house hunting and were totally put off by an exterior or interior color that was off-putting, if not downright ugly? You’ve seen those houses painted bubble gum pink or candy cane red on the outside. It’s probably going to be the same house that has interior walls the color of a forest with neon baseboards for added interest. 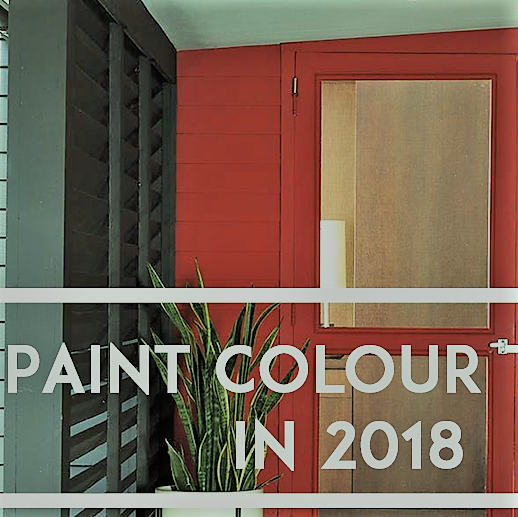 Believe me when I tell you that the color of your home both inside and out can either draw prospective customers to your home if you are getting ready to sell or repel them. All indications are that if you are getting ready to sell your house, it has a better chance of moving on the market if you keep these things in mind. Choose a color that blends well with your natural surroundings and the larger neighborhood. For example, if you live in Arizona, the overwhelming majority of homes are a shade of taupe on the outside with subtle trim and an arid, clean color on the inside. Conversely, homes in New England look better and are more likely to sell if they are a shade of white or gray with neutral trims. 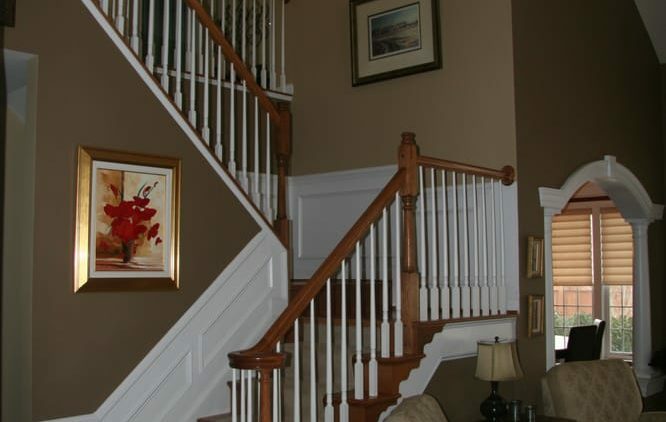 These colors give off a stately vibe that the potential buyer feels without having to say anything. Blue is another popular choice for a home’s exterior, but this should be done with the same caution as choosing any other color palette. Again, a blue house would be out of place in many areas of the country. But, it would be just as much at home near a beach, especially with white trim and particularly if the color of blue is muted. Occasionally, accent walls on the exterior of the home can provide a bold statement. It can make your house stand out while still blending into the overall neighborhood. For example, you might try a charcoal colored or indigo blue accent wall against a cream-colored house. 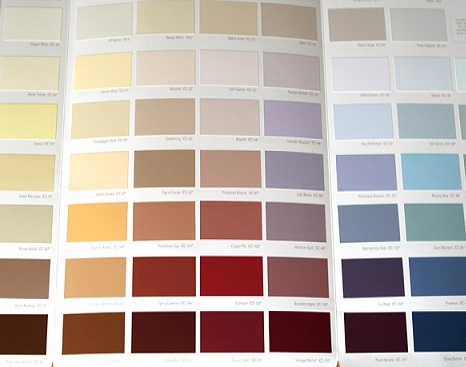 It’s a good idea to put some thought into the color you choose to paint your house long before you begin the process. Remember, color can draw buyers to you or send them fleeing in the other direction, even if the location is good and the price is right. 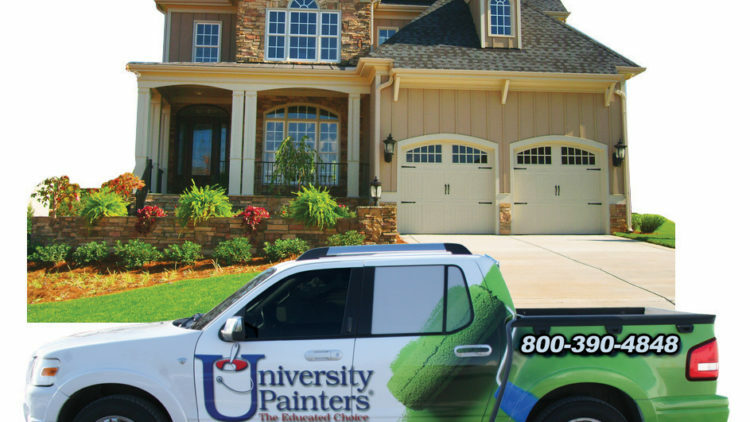 If you need some expert advice on painting your house, we here at University Painters pride ourselves on our long-standing professional service. 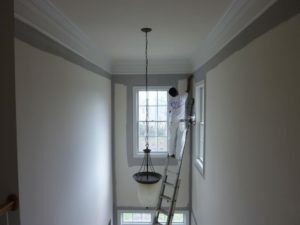 Before you buy that first gallon of paint, give us a call. We would be delighted to work with you! A brick home offers a unique presentation. To the passerby, it can look stately. To the homeowner, it can feel like a combination of old-world charm and comfort. There was a time when the choice of brick exteriors extended only to what shade of red or chartreuse you liked. Today however, a brick home still offers the owner a variety of options to make their house look unique and stand out from the rest. 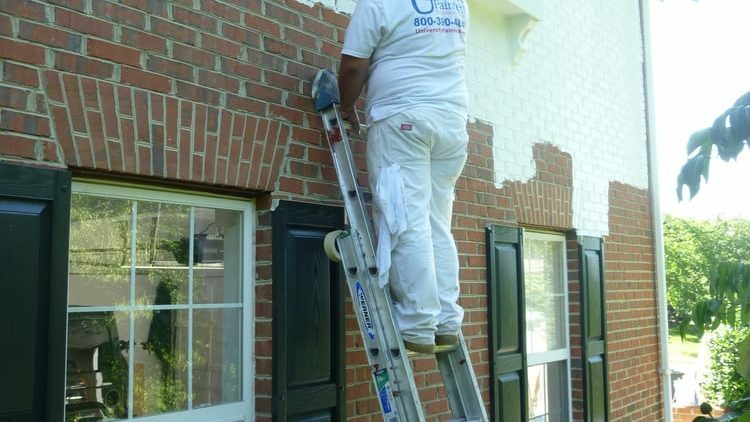 This can involve either changing the color of the brick itself or the trim in complementing or contrasting pigments. The easiest way to make a change is to paint the brick itself. 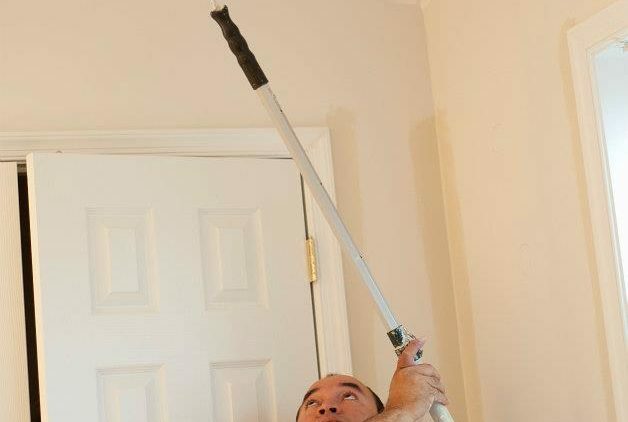 This opens up a variety of choices for the homeowner. Some may prefer a muted or neutral color of paint while others may make more bold choices such as painting the brick white. 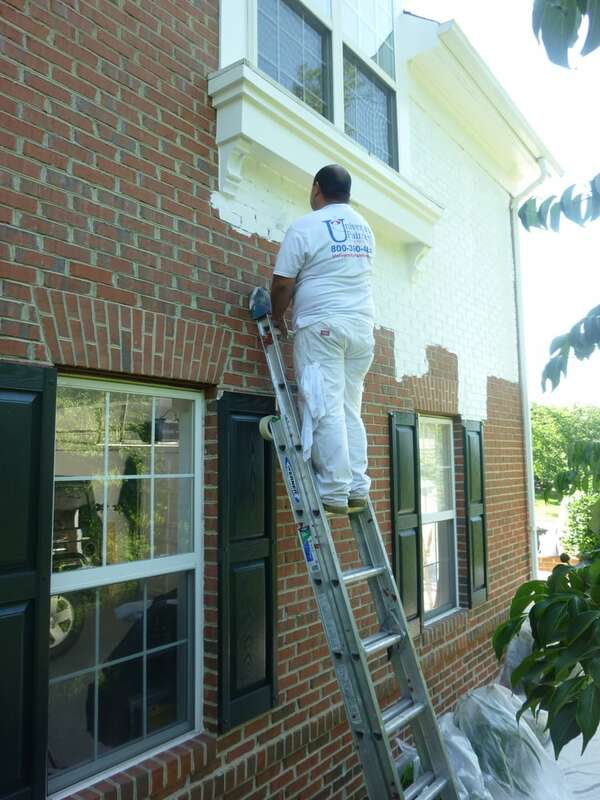 The exterior of a brick home painted in white offers an entirely new and updated look. It can feel modern and chic. At the same time it opens up further options. The home’s trim can be a color that contrasts, thereby accenting and highlighting the white brick or it can remain a neutral, muted tone, such as a gray or brownish tint on the framing and door. If you do choose to paint the brick white, take the time to look at the breadth of shades in that color. There are many toned-down whites that are not as stark, such as creams and even light beige. 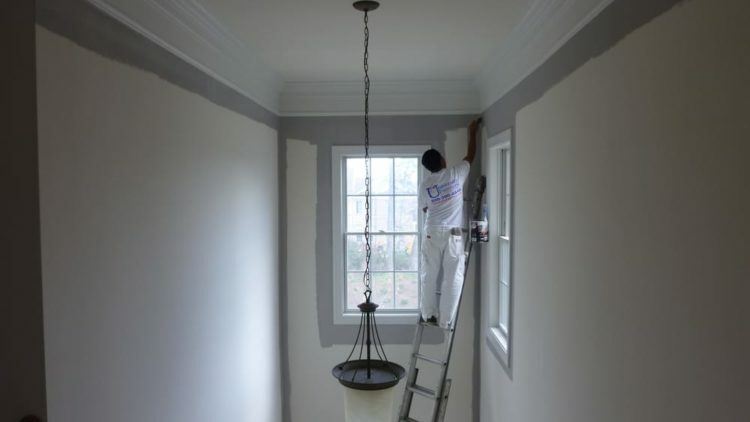 Some homeowners have even used a whitewash or translucent color that offers a more aged look. There are those who swear this route offers easier upkeep and a more classic appearance. Whatever color you choose, take the extra step of painting a small portion of the house in that color prior to ‘taking the plunge’. This will help to ensure you can live with your decision before you come home to a totally new look you did not expect. Still another color that is a common choice for painting brick homes is a shade of gray. This can be equally as stunning, particularly when paired with white or charcoal trim. 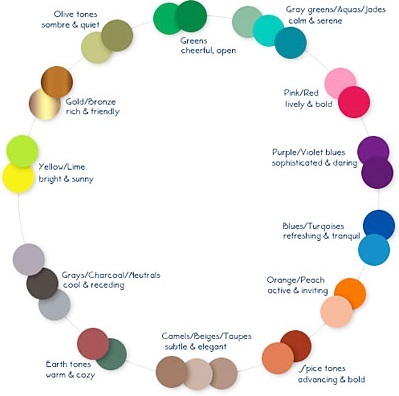 Other colors that harmonize are yellow and cream, and green or black and gray. It’s up to you. And remember, if you want to keep your brick home its original color, painting the trim in a beautiful accent color can make it stand out just as much. Whatever you choose, first choose University Painters. 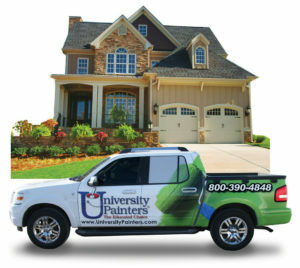 We are experienced in painting all types of exterior and interior surfaces and will treat your home like it’s our own!